Adored Australian outfit Little May today make their long-awaited return with their stunning new single, ‘Lover.’ The song is the first from the band since the release of their acclaimed, debut album, For The Company. 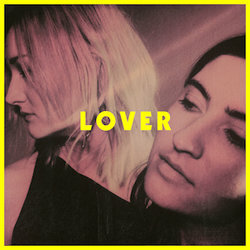 ‘Lover’ also marks a new era of the band, now comprised of focal members Hannah Field and Liz Drummond, and sees them recapture the brilliant form that has made them one of Australia’s most-loved and critically acclaimed acts in recent years, while also reflecting the dark and seductive energy that first drew them millions of listeners around the world. Produced by Rob Muinos, Dylan Adams & Drummond, the single was mixed by John Congleton (Lana Del Rey, The War On Drugs). The single’s release has also been accompanied with a beautiful new video, directed by the renowned film-maker and photographer, McLean Stephenson, known for putting his stamp on some of the best Australian music videos for the likes of Sarah Blasko, City Calm Down and Alex Cameron, and once again reinforcing Little May’s reputation for working with the best names in music.